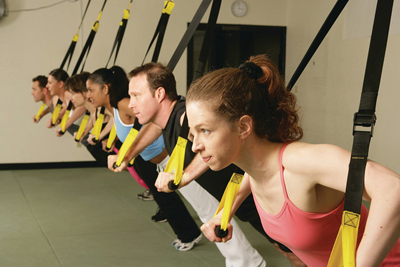 TRX Training was born of necessity in the Navy SEALs. After TRX founder and inventor Randy Hetrick graduated from college at USC, he spent the next 14 years serving as a Navy SEAL commando. His operational career culminated as a Squadron Commander of the SEAL's elite special missions unit where circumstances inspired him to experiment with what would become TRX. Randy experimented with an old jiu-jitsu belt and some surplus parachute webbing, hung his handmade contraption over a door and discovered the endless versatility of the tool he had just created. Suddenly he was doing rows, pull-ups, presses, curls, shoulder raises, flys, pull-overs, triceps extensions and a host of other exercises. 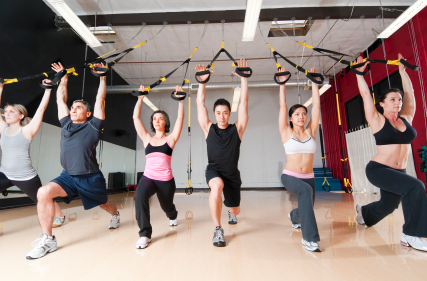 The world of exercise programming opened up and an entirely new modality - TRX Suspension Training bodyweight exercise - was born.